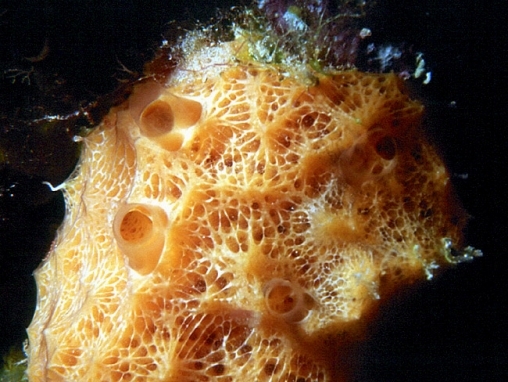 Encrusting and distinctively yellow to orange, usually found in overhangs and caves. Close-up, its surface is patterned with a web-like network of lines, with grouped exhalent pores which are relatively large. Humann illustrates it with the genus name Ulosa.